Ms. Silverstein was previously Senior Vice President, Finance and Investor Relations for Abeona. Prior to joining Abeona in 2016, she served as Head of Investor Relations at Relmada Therapeutics, Inc. a clinical stage specialty pharmaceutical company. This was preceded by her role as Managing Director at SCO Financial Group, where she drove strategy on capital formation and business development opportunities for portfolio companies. Ms. Silverstein began her career as an investment advisor at Royal Alliance Associates, Inc. before leading teams at corporate advisory firms, The Investor Relations Group and Corporate Profile, LLC. She is a member of the National Investor Relations Institute and holds a B.S. from the Peter Tobin College of Business, St. John's University. Abeona Therapeutics Inc. is a clinical-stage biopharmaceutical company developing cell and gene therapies for life-threatening rare genetic diseases. 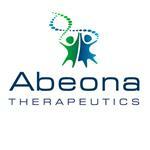 Abeona's lead programs include EB-101, its gene-corrected cell therapy for recessive dystrophic epidermolysis bullosa, and ABO-102, a novel AAV9 based gene therapy for Sanfilippo syndrome type A (MPS IIIA). The Company’s portfolio of AAV9 based gene therapies also features ABO-101 for Sanfilippo syndrome type B (MPS IIIB), and ABO-201 and ABO-202 for CLN3 disease and CLN1 disease, respectively. Its preclinical assets include ABO-401, which uses a novel AIM™ AAV vector platform to address all mutations of cystic fibrosis. Abeona has received numerous regulatory designations from the FDA and EMA for its pipeline candidates and is the only company with Regenerative Medicine Advanced Therapy designation for two investigational therapies (EB-101 and ABO-102). For more information, visit www.abeonatherapeutics.com.